Making efforts for continuous quality improvement and effective operation. Achieving full customer satisfaction by meeting customer expectations in product quality and promptitude of service. 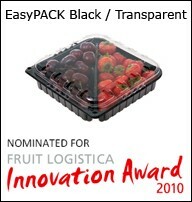 Therefore, for international recognition and sustainability of the reputation of its packages, which are currently distributed throughout the world, bringing fruits and vegetables "from the fields to the dinner table", NGP PLASTIC S.A. designs, applies and certifies Quality Systems according to International Standards for all its facilities and procedures.